Add Kamloops, British Columbia to the places on the planet producing delicious Riesling. 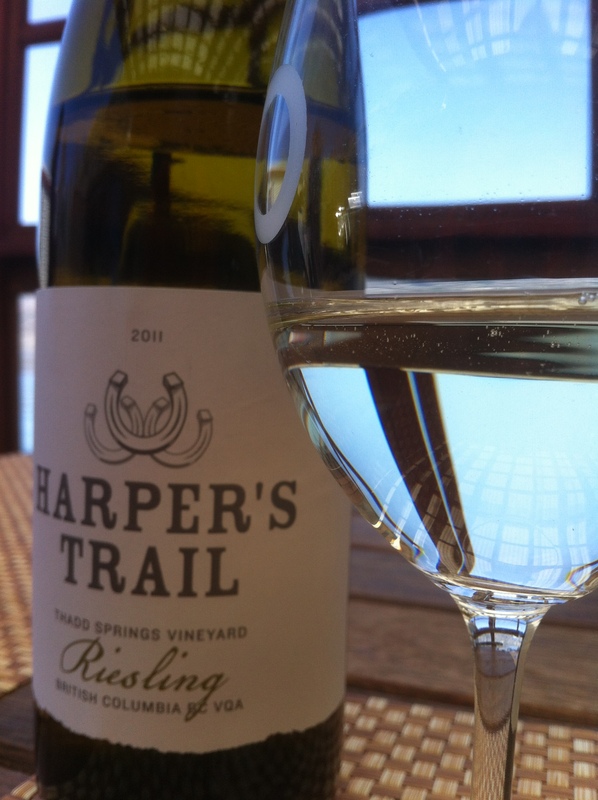 Newcomer Harper’s Trail made a juicy and appealing white from its first commerical crop of grapes from vines planted in 2008 in what’s dubbed the Thompson River Valley region. Owners Ed and Vicki Collett converted cattle grazing land into a 20-acre vineyard, planting vines on cliff sides to take advantage of the site’s limestone rich soils. Their opening inventory includes a Field Blend White, made with Chardonnay, Gewürztraminer, Pinot Gris and Sauvignon Blanc, and a rosé, which is a blend of Gamay, Pinot Noir and Merlot. The single vineyard Riesling is the star. Made at Okanagan Crush Pad by winemaker Michael Bartier, Harper’s Trail 2011 Riesling Thadd Springs Vineyard (British Columbia, $19.99, okanagancrushpad.com) offers good, clean peach and apple aromas and flavours. The obvious sweetness on the palate is nicely balanced by racy acidity and abundant minerality. It’s an impressive first effort that represents one small step for man, one giant leap for Rieslingkind.